Top: Sequin Sky c/o also love this one (FREE SHIPPING) | Shorts: ASOS also love these and these | Wedges: Marc Fisher | Sunglasses: Quay Australia | Bag: Forever 21 | Lipstick: MAC in "Snob"
I am in love with this polka dot top. 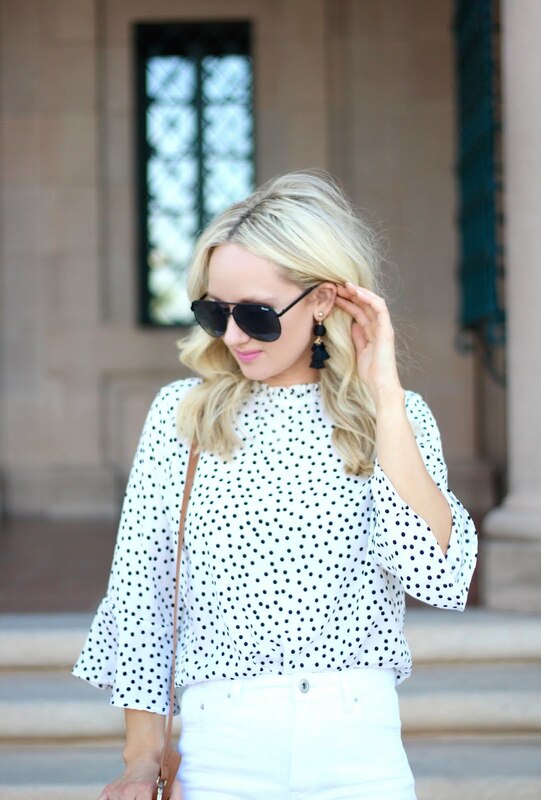 I am really loving the polka dot print right now and I don't know why I don't own more of it! I love the little flare sleeve and the high neckline. I paired it with some high waisted shorts and wedges for a cute Summer look. You could also pair it with some jeans and a pair of heels for a night out.